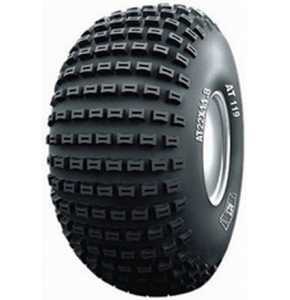 The AT-119 is an ATV tyre from BKT. 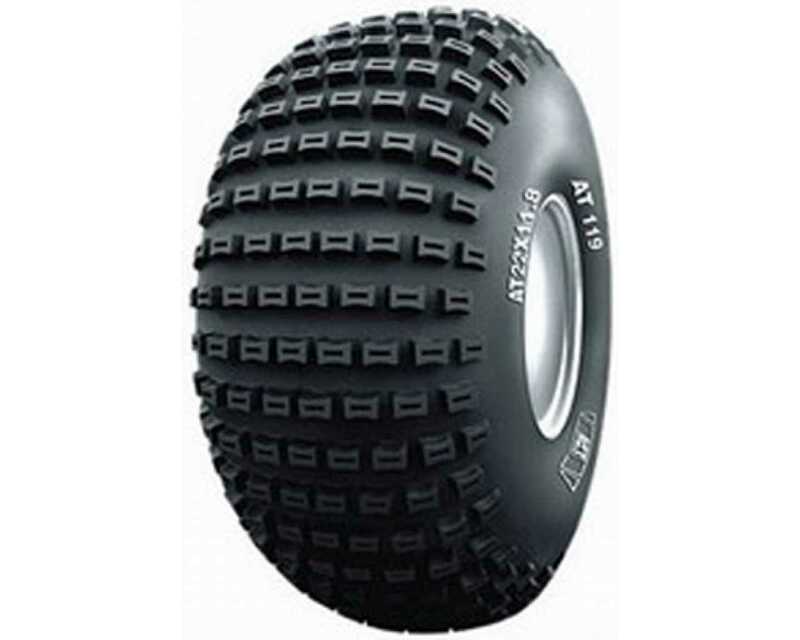 The AT-119 tyre is available in a few select sizes including 22/11.00X8 with a 4 ply rating. This AT-119 22/11.00X8 tyre has a load rating of 155kg. With its all-purpose, dimpled knob design, the BKT's AT-119 ATV tyre gives excellent traction, working extremely well on both hard-packed and loose terrains. Its strong nylon casing gives improved directional stability and flat resistance, while its natural rubber compound increases puncture resistance and extends tread life. This light-weight AT-119 tyre is available in 2 and 4-ply rating nylon casing with rounded profile.